Ever since the early 1970’s merchandising with movies has been a massive market that has seen the cash roll in for the film’s backers. After a decade of t-shirts, lunchboxes and action figures, the early 80’s saw the first movie – video game tie-in as Hollywood looked to take advantage of the fledging home console market to bring in more cash. One of the first tie-ins was the 1982 movie/game E.T. The Extraterrestrial on the Atari and it was such a very poor effort it was cited as one cause of the video game industry crash. There have been many instances of poorly licensed games over the last 30 years, but there are also plenty of gems too and we list our favourite movie tie in video games here. The character Richard B. Riddick was created in the film Pitch Black, a low budget film released in 2000, and by 2004 a sequel, the titular Chronicles of Riddick, was being made and although the second movie did not do as well as expected, the spin off game Escape from Butcher Bay had the exact opposite story. The game was developed by Starbreeze Studios, published by Vivendi Games and is a first person action/stealth game, similar to Half Life or Splinter Cell, set before the first of the Riddick films. Film actor Vin Diesel reprised his role of Riddick for the game that sees the title character have the escape for the Butcher Bay maximum security facility using both brawn and brain, just as Riddick does in the movies. The game was released on the Xbox in June 2004 to critical acclaim with IGN giving it 8.5/10, GameZone 9.2/10 and Game Informer giving 9.5. It also won three awards in 2004 and 2005, including the Unsung Hero Game of the Year (Editors’ Award) at the Golden Joystick Awards. An expanded and updated version was released in 2008 with the game The Chronicles of Riddick: Assault on Dark Athena. There are many other Star Wars games that could easily feature on this list, such as The Knights of the Old Republic – although not a direct movie tie in – as well as X-Wing and TIE Fighter where you commanded the space craft of the Rebels and the Empire, but Battlefront with it pitting you at the centre of some of the biggest Star Wars battles edges it for us. While there was a planned video game for the release of this 2008 Christopher Nolan follow up to the rebooted Batman Begins movie from 2005, but the game for the Playstation 3 and Xbox 360 did not materialise and was cancelled. However, from the embers of this there was another type of game linked to the movie – an online slot machine created by Microgaming. In December 2012 a UK resident, Jon O. – a member of free bingo games site butlersbingo.com – turned a 30p spin into almost £6m! This online slot machine features cinematic spins, with video clips straight from the movie, while both Batman and The Joker appear at random to award prizes. Since the world of gaming has taken off in such a big way, the amount of adults who are now playing console games has risen to an all time high. But this raises the question, why arnt their any adult games for the Playstation 3? There are plenty of games aimed at just children but how about a casino game for adults. Many games offer an insight into the world of casinos offering the odd moment in the game where a character tries his or her hand at a game of blackjack or poker. However there are currently no games that offer the full casino experience for players. So far many games touch upon gambling yet non offer the full casino experience. It could well prove to be a popular idea to offer a game on the PS3 that gives the gamer the opportunity to control an onscreen character and walk up and down a casino, order some drinks, play some slots, sit down at a poker table or play roulette. The gamer has the opportunity to build up a reputation as a high roller on the Vegas strip, or they could go one step to far and have to build your their fortune again. All of this would allow the gamer to experience the thrill of a casino without actually betting real money. Perhaps seeing the effects of winning and loosing in a virtual world will provide some with those high and low feelings many high rollers have felt before. Currently one of the only games available that offers a casino experience is ‘High Stakes’, a game that offers the gamer the chance to play 5 variations of poker, but they’re all hold ’em variations: Billabong, Shanghai, Tahoe, super hold ’em, and Texas hold ’em. The lack of classic games such as black jack, roulette and other casino favourites lets this game down. However until somebody commits to creating a new casino game ‘High Stakes’ may be the best bet. Until that day we will have to make do with the odd casino experience we can gain from games such as Red Dead Redemption or online sites such as GamingClub.co.uk. Electronic Arts has received a lot of flak over the years about the way they’ve handled the release of their World Cup and European Championship games, and rightfully so, because all they were doing before was redressing the current-gen FIFA titles and charging full price for what was essentially the same product. 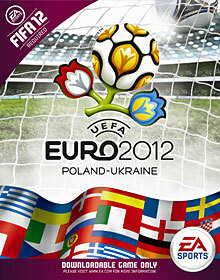 This year, however, they’ve smartly chosen to release their Euro 2012 content as DLC for “FIFA 12” instead of an individual disc, which will satisfy fans of the franchise despite the fact that it still doesn’t feel like you’re getting very much bang for your buck. In addition to the basic tournament mode and a Challenge mode similar to the one found on recent installments of the soccer series, there’s also a new mode called Expedition that plays like a mix between FIFA Ultimate Team and “Risk.” To begin, you create a team, select your favorite European player to serve as captain, and receive a random assortment of reserve players to fill out your roster. As you travel across Europe competing against other teams, you’ll unlock roads to new countries, and for every team that you beat, you’re given one of their players, which you can choose to keep or reject. The first time that you beat a team, you’ll get a reserve player; the next time, you’ll get a better player; and the third time, you’ll get one of their stars. It’s a little more difficult than it sounds, though, as losing a match will destroy the connecting road, resulting in having to play some countries more than three times. But while the risk/reward nature of Expedition adds a bit of unnecessary frustration to the proceedings, it’s still the strongest feature on “UEFA Euro 2012.” That might not be saying much considering just how little there is to choose from, but EA deserves credit for at least trying to do something different. Granted, the DLC is hardly an essential addition to the “FIFA 12” experience (especially at such a high price), but diehard soccer fans should download it anyway. As part of the trip to the GT Academy finals, the media had a chance to get behind the wheel of Nissan’s strongest racers, the 370Z and the GTR. We actually got to drive the Nissan GTR Black Edition, the only model currently in the US in light of the circumstances in Japan. Oh, we also drove the Juke. We got to take the cars through an autocross course, which is an exhilarating experience. It was my first time on that kind of course, unlike the auto media that was there. Still, I managed a couple decent runs, most notably in the GTR. After the autocross we were taken around the oval by a pair of professional drivers from the the Richard Petty Driving Experience. As far as I could see, we hit 105 in the 370Z and about 120 in the GTR. That doesn’t sound fast on a straightaway, but around a banked curve it felt like madness. I’ll have a full writeup of the experience tomorrow. For now, enjoy the gallery. Nissan was kind enough to bring me down to Orlando for the US GT Academy finals. Until this year, GT Academy had only run in Europe, giving virtual racers a shot at competing for a spot on Nissan’s GT4 racing team. I’ve had a chance to run around with Lucas Ordonez, the winner from the first season of GT Academy and even been behind the wheel of a 2012 Black Edition Nissan GTR, a Nismo 370Z and, just for kicks, the Nissan Juke. It’s a strange experience to be among a group of aspiring racers whose experiences have been solely virtual to this point. They are definitely excited, but there’s also an intense level of focus. I’m not a Gran Turismo player by any stretch of the imagination, so listening to these guys talk about their races, picking apart switchbacks and hairpins and straightaway strategies, is like listening in on a discussion of chaos theory from a physics professor. I’ll be watching the finals play out over the next several hours. This last round consists of several 4-man races that will narrow the field down from 24 racers 16. Those 16 will then undergo a series of tests to prepare them for a trip to the UK where they will begin the physical competition to determine the winner of GT Academy 3.